Dorothy Jean Shoels Holland, 80, of Amarillo, Texas, passed away on Tuesday, July 31, 2018. Dorothy was born on October 26, 1937, to Roosevelt and Essie Neal Smith Shoels in Gilmer, Texas. She received Christ at an early age in Clarendon, Texas. Dorothy moved to Amarillo, Texas in 1949. She was employed with Saint Anthony’s Hospital and retired with 35 years of service. 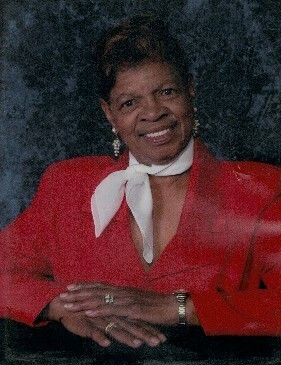 Dorothy was a long-term member of Saint John Baptist Church since 1961 where she served as an usher for many years. She was preceded in death by her parents, two brothers, Jimmy Lee Shoels and John Authur Shoels and two sisters, Emma Ruth Shoels and Gracie Shoels. Dorothy leaves to cherish her memories, a daughter, Denise (Melvin, Jr.) Moore of Amarillo, Texas and a son, Minister Anthony (Dorcas) Hobbs of Douglasville, Georgia, three grandchildren, Kimberly Hanna, Tucumcari, New Mexico, Ashley (Craig) Bogle of Milledgeville, Georgia and Danielle Hobbs of Douglasville, Georgia, two step-grandchildren, Christopher Moore and, Tiffany (Ricci) Patterson of San Diego, California, eight great-grandchildren and a host of other relatives and friends. A special thank you to the staff of BSA Hospice of the Southwest. The family will receive friends at 2025 Northwest 14th Avenue, Amarillo, Texas.